Working in a business and professional environment, you find yourself bombarded by routine demands, challenges, and requests for support from your co-workers, managers, and others. You’ll need to meet both practical, business-related expectations of the organization as well as the personal expectations of people who look to you for support and solving conflict. One important way you can accomplish this is through effective communication that’s productive and efficient, yet supportive and motivating. The most effective interaction and communication should meet personal needs—the basic needs of being treated with respect, being listened to and understood as well as being involved in the interaction. 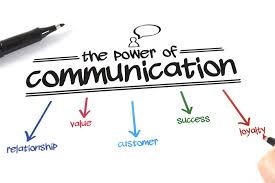 Besides that, effective communication should meet business needs—for instance, to generate ideas, to solve problems and develop a business action plan). During this workshop you’ll have a lot of opportunity to explore your potential and ability to be an effective communicator. • Have better conversation skills. • Be more persuasive in your interaction with others. • Handle difficult communication situations with confidence. • Have a great deal of fun listening to others and understanding through their body language. • Starting an Effective Conversation. • Body Language—the Unspoken Truth. • Open and Closed Question Techniques. • The Influence of Language itself. • Skill Practice and Feedback. • Getting the YES from your Listeners. • How to Maximize your Interaction Results.